Meeting room with a capacity of 14 guests. A perfect complement to the Grade-1 listed station next door (another TOG space don’t you know), number 20 is big on style and features. The 1960s heavy concrete office block has been stripped back and refreshed to create a light and roomy space with a striking scandi-inspired ‘Sky Garden’ style, created in partnership with architects Stiff & Trevillion. 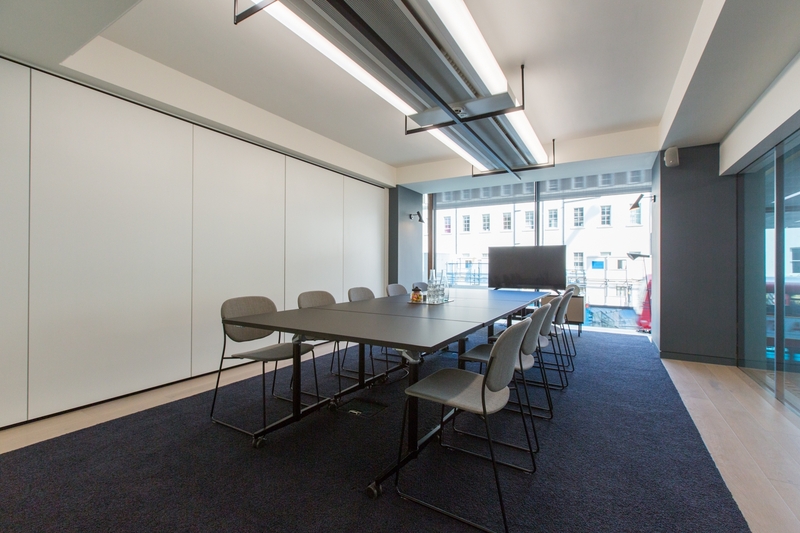 A standout mix of flexible workspace awaits including one of our largest co-working spaces to date, studio offices perfect for startups, beautiful offices, extraordinary event spaces and light, comfortable meeting rooms.